Breakfast is the king of meals. A lavish and relaxed breakfast is simply part of a holiday – and there’s no need to get up early for breakfast with TUI MAGIC LIFE. Sleep in at your leisure and enjoy breakfast in our Magico main restaurant until 10 am. Many resorts even offer breakfast until 11 am. What are your favourite breakfast foods? Fruit, muesli, scrambled eggs, bread rolls, croissants, freshly squeezed juices and coffee? 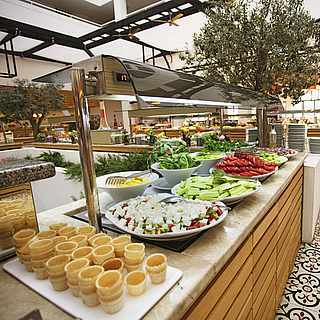 Tuck in to our buffet to your heart’s content and enjoy a wonderful start to the day. Bon appetit!